L.A. jazz singer who claims to have ongoing sexual encounters with reptilians. Of course, this came after her astral projections and past life regressions where she saw herself "as one of a brotherhood of reptilian warriors facing a catastrophic event in which we perished together." She's written a book and is promoting her CD. Stonebrooke is reported to have attended several 'Bashar' channeling seesions in which reptilians were talked about...mmmm, wonder where she got the idea about alien lizards? What do you get when you combine a fifth of vodka and your pet iguana? I'm not sure, but I think I might have an idea. Credit where credit is due, Pamela does have one hell of a voice. 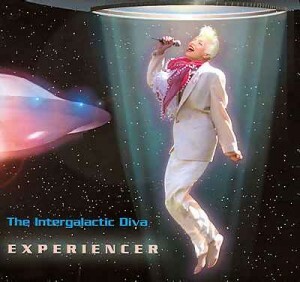 She bills herself as The Intergalactic Diva.